Hitech is the Popular Business Accounting Software in India, HiTech Software Incorporate Excise for Traders, TDS, Service Tax, & VAT with Multiple Company and Multi User Support. 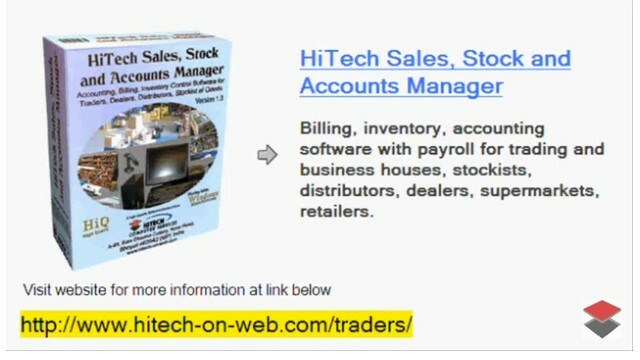 Business Management and Accounting Software for Traders, Dealers, Stockists Etc. Modules: Customers, Suppliers, Products / Inventory, Sales, Purchase, Accounts & Utilities. Free Trial Download. Web, Internet Based Accounting Software and Inventory Control Applications and Web Portals for E-commerce Applications. Globally Accessible Application Software for Business Management and Promotion. 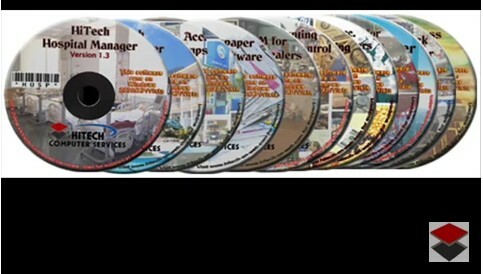 Business Management and VAT Accounting Software for Traders, Dealers, Stockists etc. Modules: Customers, Suppliers, Products / Inventory, Sales, Purchase, Accounts & Utilities. Free Trial Download. 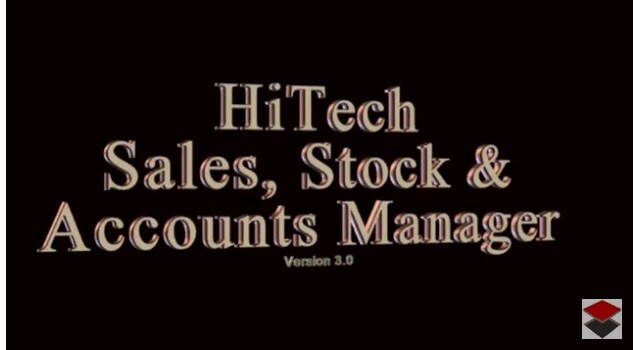 HiTech-The worlds friendliest business accounting software from HiTech Computer Services online, India's reliable software consultants. SOftware Development and Software Outsourcing. India based company offers web based accounting software developed on Active Server Pages technology. Multi company, multi user, multi location, global business management. Related to accounting software india in software and web applications for business. 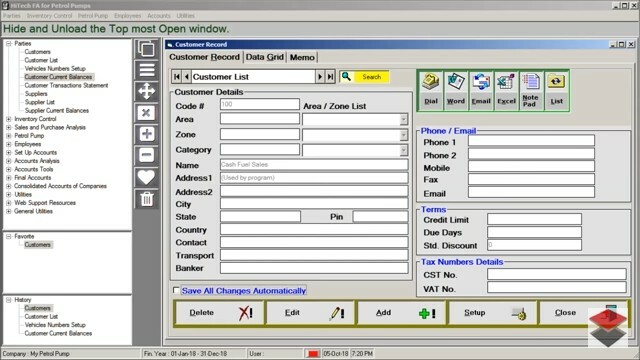 Click here for more information on business accounting software india in our websites. To get complete information on indian accounting software business software, click here.